To see reviews, more things to do, other places to visit, and tourist information, read Porvoo online holiday planner . Tel Aviv, Israel to Porvoo is an approximately 9-hour flight. When traveling from Tel Aviv in June, plan for a bit cooler days in Porvoo, with highs around 21°C, while nights are cooler with lows around 11°C. Finish up your sightseeing early on the 11th (Tue) so you can go by car to Kouvola. Kouvola is a town and municipality in southeastern Finland. Family-friendly places like Niivermaki Nature Conservation Area and Beach Mansikkalahti will thrill your kids. 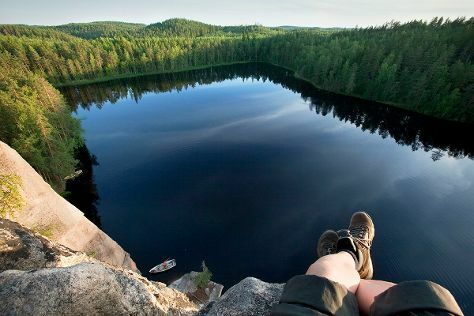 Get in touch with nature at Repovesi National Park and Hiidenvuori. 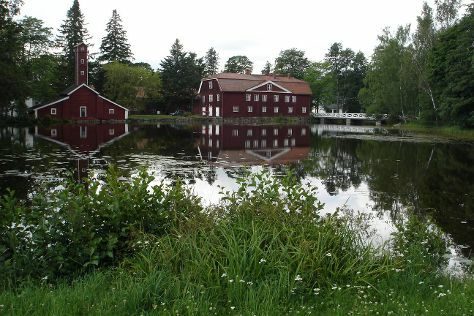 Explore Kouvola's surroundings by going to Kotka (Riverside Park, Kotka Church, & more). It doesn't end there: look for all kinds of wild species at Arboretum Mustila and examine the collection at Kouvola City Museum. For reviews, other places to visit, traveler tips, and other tourist information, refer to the Kouvola trip planner . You can drive from Porvoo to Kouvola in 1.5 hours. Other options are to take a bus; or do a combination of bus and train. In June, daily temperatures in Kouvola can reach 22°C, while at night they dip to 11°C. Finish your sightseeing early on the 14th (Fri) so you can drive to Tampere. Kick off your visit on the 15th (Sat): contemplate in the serene atmosphere at Tampere Cathedral, stroll through Rauhaniemi Beach, and then enjoy the sand and surf at Riihiniemen Uimaranta. On the 16th (Sun), you'll have a packed day of sightseeing: identify plant and animal life at Hatanpaa Arboretum, then enjoy some diversion at Pyynikki's Swim Hall, and then soothe aching muscles at some of the top local wellness centers. To find traveler tips, other places to visit, maps, and tourist information, use the Tampere trip planner . You can drive from Kouvola to Tampere in 3 hours. Other options are to do a combination of train and bus; or take a train. June in Tampere sees daily highs of 20°C and lows of 9°C at night. Cap off your sightseeing on the 16th (Sun) early enough to catch the train to Helsinki. Get some historical perspective at Rock Church and Uspenskin Cathedral (Uspenskin Katedraali). 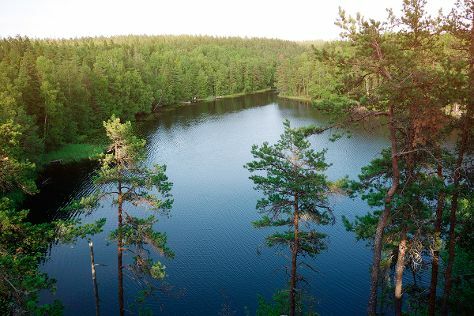 You'll visit kid-friendly attractions like Nuuksio National Park and Linnanmaki Amusement Park. There's much more to do: learn about all things military at Sea Fortress Suomenlinna, indulge your thirst for a good beer at Stadin Panimo, contemplate in the serene atmosphere at Kamppi Chapel of Silence, and take a stroll through Katajanokka. To see other places to visit, more things to do, ratings, and more tourist information, read our Helsinki road trip planning tool . You can take a train from Tampere to Helsinki in 2 hours. Alternatively, you can drive; or fly. Expect a daytime high around 21°C in June, and nighttime lows around 11°C. Finish up your sightseeing early on the 20th (Thu) so you can travel back home.